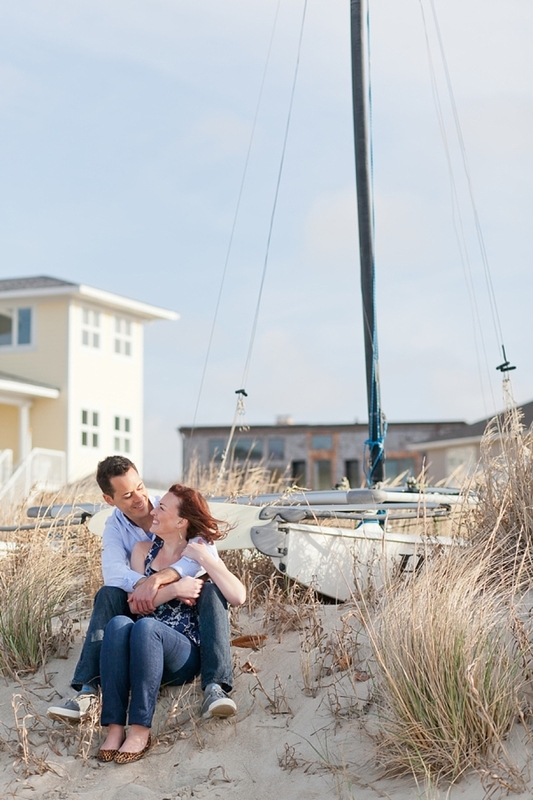 Oh, Hampton Roads weather. It'll be 80 degrees one day and 55 the next. 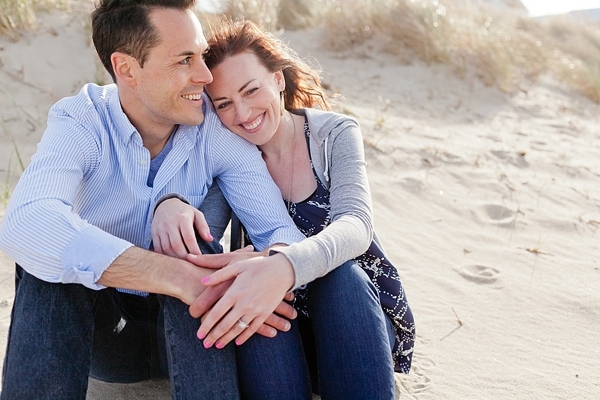 And this beautiful beach engagement session from Amanda of Amanda Manupella Photography had just that. 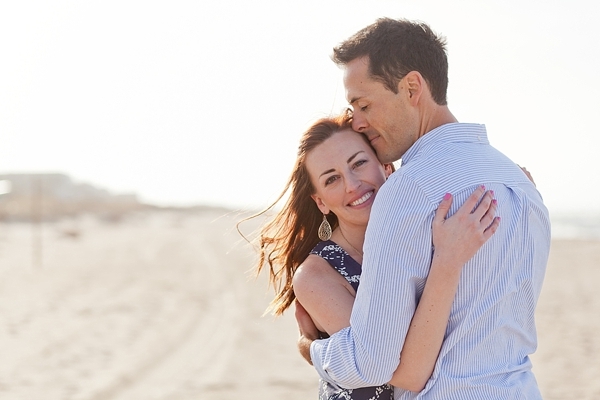 Regina and Ryan, both school teachers in Hampton Roads are huge beach lovers, especially since it served as the setting where they spent countless hours talking and getting to know one another with the sand between their toes and the sounds of the rolling waves around them. 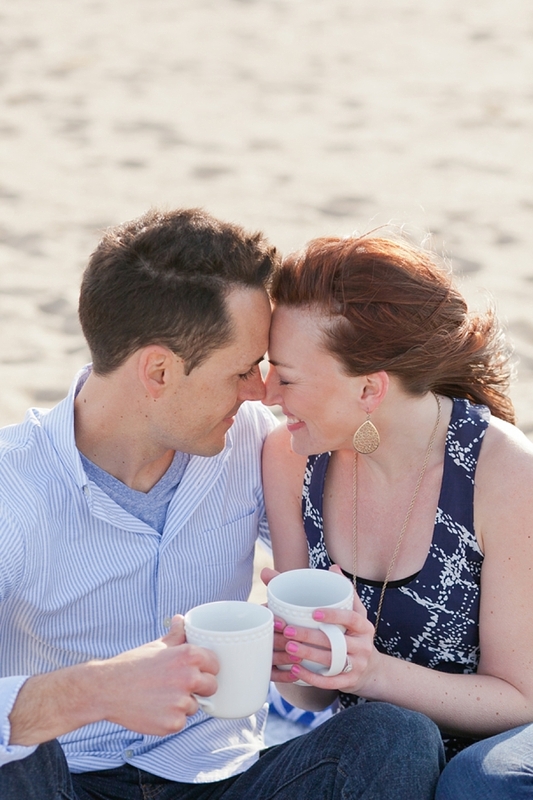 These two braved the high winds and bitter cold of April with hot cups of coffee for an hour of laughter and cuddles on the Chesapeake Bay in Virginia Beach.